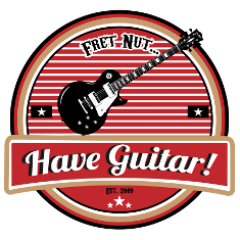 winners Archives - Fret nut... Have Guitar! Tone Junkie Everything Pack – Giveaway Winners! Time to let the fez do the talkin’! Yes, this is the video where I draw the winners of the Tone Junkie Everything Pack giveaway – five lucky winners will get all the great Kemper profile packs from Tone Junkie! So, as I have proclaimed in the video – watch this video and contact me if I don’t already have your email – if so you will have 10 days to get in touch, if you haven’t done that within those 10 days the prize will go to someone else. I hope people doesn’t find that too harsh but my opinion is that if you really want to win the least you can to is to watch the draw, right? A very Big Thanks to Tone Junkie for letting me do this giveaway! Tone Junkie has some of the best clean and low gain Kemper profiles around and if that’s what you’re looking for I wholeheartedly recommend you to check them out. Also a very Big Thank You all subscribers, new and old – you support is fantastic and needed! If you don’t subscribe, please do so to support Have Guitar! Author adminPosted on March 2, 2018 Categories UncategorizedTags everything pack, fret nut, giveaway, have guitar, kemper profiling amp, kpa, profiles, tone junkie, winnersLeave a comment on Tone Junkie Everything Pack – Giveaway Winners! Winners for the “Celebrate 500 subscriptions”! Congrats to the winners! Stay tuned for more giveaways on Have Guitar. Subscribe to Have Guitar for more videos and giveaways! Thanks to all of you, who have supported me through comments, mails and subscriptions – you all rock! Author adminPosted on February 2, 2018 February 2, 2018 Categories GiveawayTags 500 sub's celebration, distortion pedal, fret nut have guitar, guitar picks, mosky black rat, t-shirts, winnersLeave a comment on Winners for the “Celebrate 500 subscriptions”! Winners – 5 full Kemper profile packs from Mattfig! Here is the result from the Mattfig giveaway – five lucky winners get a full Kemper profile pack of their choise from Mattfig! A very big Thanks to Mattfig for letting me host this giveaway!! Author adminPosted on February 2, 2018 February 2, 2018 Categories GiveawayTags fret nut have guitar, giveaway, kemper profiling amp, mattfig, profiles, winnersLeave a comment on Winners – 5 full Kemper profile packs from Mattfig!